I don’t have any photos this week, because it was sad. I don’t know if it was from my peat pellets (they grew a hairy white mold) or contaminated soil I brought in from the garden, but my plants had a green mold growing on them, and there were gnats. I tossed it all, and started fresh. I had sort of jumped the gun originally, so I had lots of time to do this. Another problem–I had not been diligent enough in labeling, and I was unsure which peppers were which! Silly me! I did start building my new garden boxes. I found out my old boxes will not “mix and match” with my new vinyl materials, so basically I’m rebuilding them. They are 4’x4’x1′ (instead of 6″ high). I’ll post photos when I get them done. Altogether, it will cost about the same to build twice as many boxes, twice as high as it did to buy the original 3 boxes from the squarefootgardening.com website. And I’ll sell my 3 boxes to a friend, and recoup a about a third of my cost. You can find it at Costco, but that’s hit and miss. Usually during the spring they carry lots of gardening stuff. I’ve also found it at Home Depot. You might get lucky at Wal-Mart. The more you buy, the cheaper it gets, but if you only have one or two beds it’s still cheaper to buy just what you need. 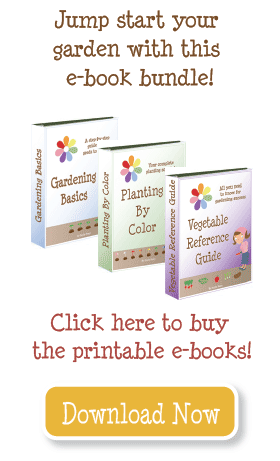 I just bought your ebook on beginning gardening. Can you tell me who carries the weed mat? I appreciate your web site – great information. I bought them at Home Depot, but I warn you, it’s no easy matter. You have to have a saw to cut the posts, and they are so deep it usually takes more than one pass. Then you have to cut out holes for the rails–it’s best to make a tight fit so they stay together. I used a router and jig, but you could use a jigsaw. Hi, I’m really interested in building raised beds using vinyl fencing. Yours look amazing, by the way! I never would have thought to do it like that. I was wondering where you bought your vinyl posts and rails? I am in Utah. Don’t know where you’re at, but hopefully I can find a place similar to where you bought yours. Thanks!